Spherical Founder and CEO speaks on his early beginnings and big projects on the horizon. 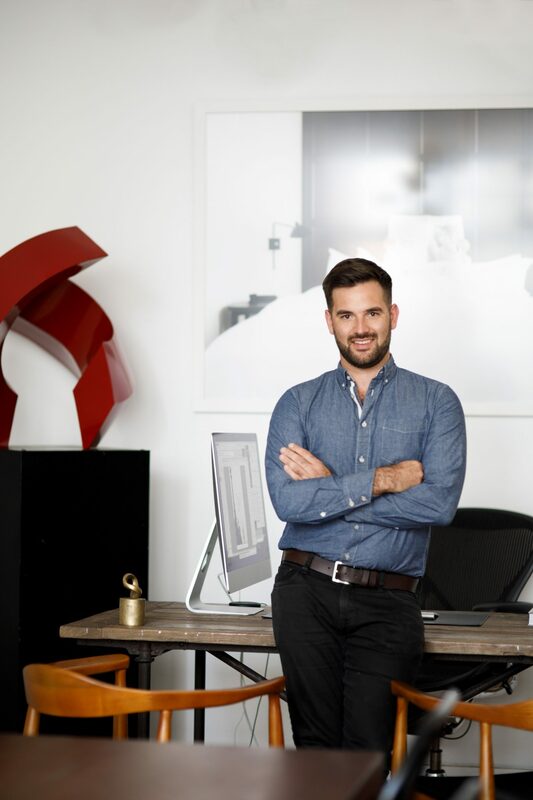 Adam Wallace has been passionate about the hospitality industry since the beginning of his career, working at his family’s The Roger Smith Hotel in New York. It was there that he began exploring new ways for a hotel to reach its clientele. In the mid 2000s, he and The Roger Smith team saw fresh potential in the burgeoning world of social media. With their efforts to connect with target audiences online, The Roger Smith soon had a massive Twitter following and were regularly publishing extensive online content. The industry took notice: EConsultancy named the Roger Smith “the most social media savvy hotel in New York—if not the world. Surprisingly, traditional hotel marketing still relies heavily on the productization of the hotel room—something Adam believes is antithetical to what people are actually looking for when they travel. Through Spherical, Adam’s helping more hotels excel at the type of non-traditional advertising that Roger Smith embraced. “It’s less about ‘here’s our room, book our room,’” he says. Instead, it’s about telling a story and connecting in meaningful ways that are effective in generating demand. What experience can a hotel offer? How can guests experience a place, in and around a hotel? Asking—and answering—these questions has become central to how Spherical expresses strong brand identities in social media, website design, development, and content marketing. “It’s not just about beautiful sites and social,” Adam explains. “What’s the performance side of it, and how can we be effective in driving conversions?” Simply telling a brand’s story won’t work if there is no one listening, so Spherical also emphasizes content-driven SEO. Combining compelling editorial content with a strong search marketing strategy brings the audiences a hotel is looking for. By creating rich blogs and neighborhood guides featuring relevant destinations, experiences, and brand partners, Spherical has been able to effectively bolster positioning for high-value, non-branded search terms. There’s a lot to look forward to at Spherical, too. Adam’s excited about new initiatives and project, like Compass, a Spherical-owned website framework solution designed for smaller, independent properties and destinations with big stories to tell. Spherical has also partnered with Kin Travel, a new company creating safari-inspired sustainable travel experiences, and with EDITION HOTELS’s Ben Pundole. His Stay Plastic Free initiative aims to remove 90% of plastic from his hotels in one year. “I’ve grappled with the strong [negative] environmental impact that can happen through travel,” says Adam, who studied Environmental Studies at Skidmore. Now, he hopes to combine his passions and help make the travel industry a positive influence on the world. Learn more about Spherical here.